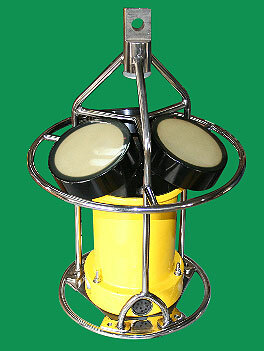 760mm Subsurface syntactic foam buoy and inline mooring cage structure of tough 1/2" type 316 stainless steel construction. 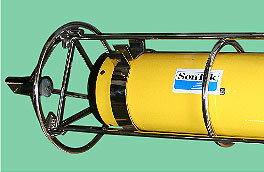 For Sontek® 0.250Mhz ADP® System with a two battery pack canister for underwater deployment. 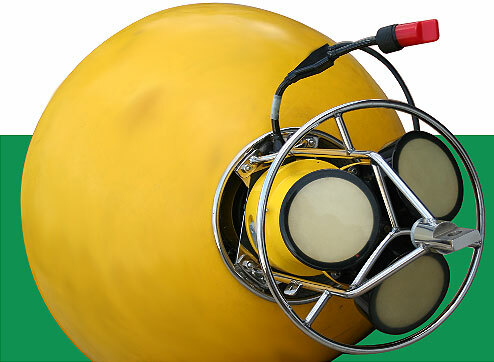 Manufactured using a vacuum injection process designed to eliminate unwanted air pockets. Weight in water: 6.8 kg.